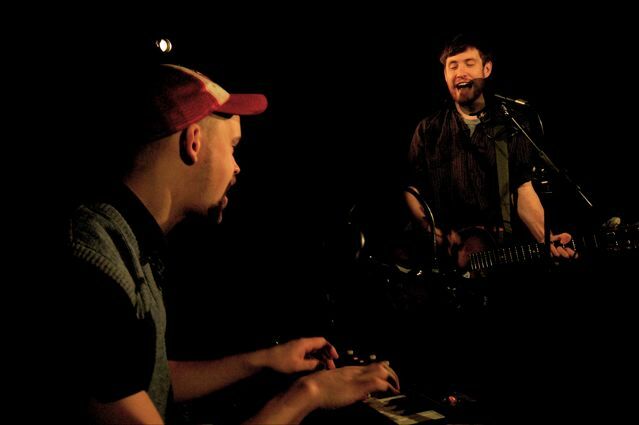 Taken at a session we recorded with pared down version of The Rumble Strips. Charlie sings whilst Henry, lacking the necessary teeth needed to play trumpet, opts instead for a Casio keyboard. 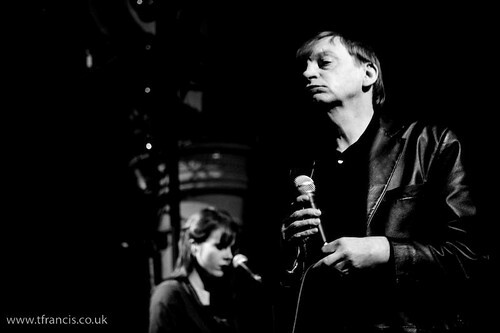 The Fall @ The Astoria, London. If you called Mark E. Smith a National Treasure he�d more than likely smack you in the face, and to be honest you�d deserve it: using such a glib turn of phrase is obviously going to agitate a dissident so long in the tooth. But there is something to be said for the motivation in issuing Smith such a prefix, as he�s been steadfast in his rejection of labels for thirty years. Forming The Fall in the mid Seventies, his atonal diatribes have underpinned one of the most diverse and consciously impenetrable bands the UK has ever produced, the list of albums almost as long as that of the personnel. He has stood at the peripherals of popular culture, piss eyed and peerless, for longer than anyone else would conceive possible and although his singularity can border on the belligerent, anyone with more than a passing interest in music will know exactly who he is, if a little unsure of why. �Good� With the puncturing brevity of a staple gun, Tobin�s terse reply goes a some way into demonstrating the sheer bloody mindedness that drives pretty much everything Prinzhorn Dance School do.